Children and Adolescents with disruptive behaviors, learning problems, and social issues are overwhelmed due to society’s pressure for them to behave and learn like everyone else. These children think and perform differently than their peers. They need an ally who understands their challenges and strives to find innovative strategies to excite and motivate them to succeed. Are you searching for an experienced, compassionate child psychologist? Dr. Sussman is devoted to teen and child counseling and helping them become the best versions of themselves. Whether you are looking for a therapist for children or a teen psychologist, contact the office of Dr. Sussman today for a children's psychological evaluation appointment - and be on your way to teen and child success! 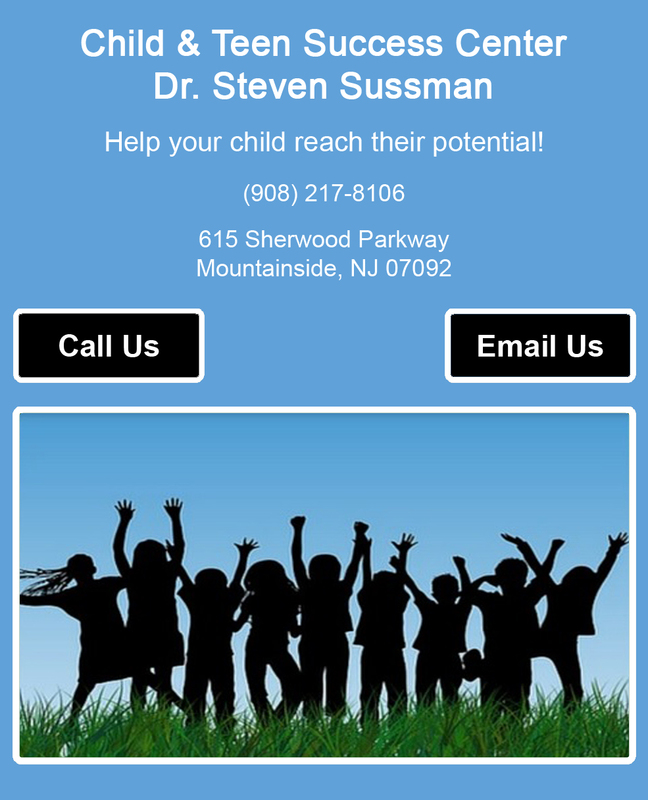 Dr. Sussman is a child psychologist dedicated to child counseling. He is an experienced therapist for children and teen psychologist able to help you. Contact us for a children's psychological evaluation today and let us know how we can help you.